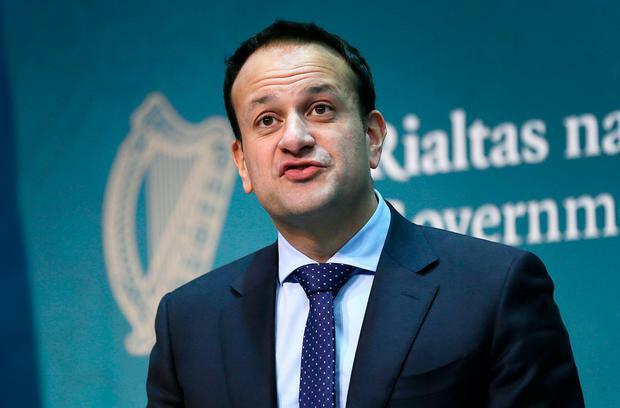 Taoiseach Leo Varadkar hopes British Prime Minister Theresa May taking the reins on Brexit negotiations will lead to fewer mixed messages from London. Mr Varadkar said how the British team is organised is a matter for the UK government but that a single position from them would be “beneficial”. “We did have some difficulty in the last two years in that sometimes there are mixed messages coming out of London and I suppose anything that suggests there’ll be a single position – and we have had that since the meeting in Chequers, I think – is beneficial,” he said. Mrs May is to take the lead on negotiations following the appointment of Dominic Raab as Brexit secretary, who will now “deputise” for her in Europe. The move has been characterised by British opposition parties as a “side-lining” of Mr Raab amid increasing speculation that divisions within the Conservative camp may result in a no-deal Brexit. However, Mr Raab has said this approach was made clear on the day he agreed to take up the job, after David Davis resigned over the Chequers White Paper. Mr Varadkar was speaking as he continued his whistle-stop tour of Europe, where he is meeting with his EU counterparts in a bid to keep Irish interests high on the Brexit agenda. Today he will meet with the Italian Prime Minister Giuseppe Conte in Rome. UK ministers are also touring Europe to shore up support for Britain’s position outlined in the White Paper, and today their paths will overlap. UK Business Minister Greg Clark will also be in Rome where he will meet politicians and say Britain’s proposals to solve the Irish Border question. Negotiations are continuing in Brussels, with a meeting between EU chief negotiator Michel Barnier and Mr Raab scheduled for today. Tánaiste Simon Coveney, meanwhile, said the UK could not afford the no-deal scenario that Brexiteers say they are prepared to accept in lieu of a good deal, a sentiment he dismissed as “bravado”. Mr Coveney also said there is too much talk of the “negative consequences” of a no-deal Brexit. He said the Irish government would support an extension of negotiations to avoid a no deal if Britain requested one, but UK Chancellor Philip Hammond dismissed this.